In the recent past, the English language was not known as the leading language in America, but that is quickly changing as more and more people are learning English. With that being said, if you have children who are teens or just graduated high school and they do not know English, you should help them get familiar with the English language. This can be done quickly, and it doesn't have to be expensive, either. The first thing you can do is contact local colleges. Most colleges offer classes for people who want to learn English, and, many times, these classes are absolutely free. The key here is to contact as many colleges as possible because they will all offer something different. 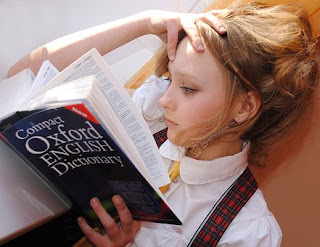 The next thing you can do is hire a private tutor to help your children learn English. The best place to find this type of tutor would be your local library. Tutors always advertise in local libraries, and some tutors even give their session in local libraries, too. An additional step would be for you to research online for local tutors in the area. This can be easily done by using a search engine. However, the tutoring program you select should be run by professionals, and this program should also help children learn more about America in general. A good example of this type of program would be Avant-Garde Educational Services. They provide an English language summer camp a few times throughout the summer, and this program is held in Boston. In addition to learning English, students also get taken all around Boston to explore colleges, parks, museums, and more. When speaking to your child about learning English, it is important that you let them know their future depends on them learning English. Many jobs are beginning to require employees to know English, and most of these jobs are in the professional world, so all young people need to take English more seriously.